You don’t need a special occasion to celebrate in Port Elgin. Because you’re here … is good enough. In the great company of friends, or surrounded by family, raise a pint or uncover the perfect gift. Step out for dinner, or a night on the town. Drink it all in. And when your heart is full, so is your spirit. You’ll always find good cheer in Port Elgin. 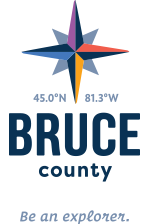 Watch our Port Elgin Video on YouTube. Take the crew out to walk, bike or rollerblade along the lakefront North Shore Trail. Or head inland to the Saugeen Rail Trail. Enjoy Metta Wave Yoga on the beach, or challenge your friends to a Stand Up Paddle Board session! In the winter, snowshoe and cross country ski groups gather at Beiner Bush Trail and Woodland Trail, a non-motorized forest trail system. The SS Trolley shuttle travels to and from Port Elgin and Southampton for more to explore. Looking for that perfect outfit for your night on the town? Beachin’, Cabana Beach House, Mensch Clothing and Casual Corners will have that stylish outfit with the perfect shoes to make you feel great as you dance the night away. Belle of the Boudoir carries beautiful intimates for women. Visit Port’s Emporium or Accents for trendy home decor and gifts. Pick up something for the kids at Turtle Crossings Toy Store or Bicyclette Rouge. Grab a seat outside at Chester’s, The Wismer House and the Queen’s Bar and Grill for a cold beverage and delicious pub fare. Executive Chef Randy Felker at Ristorante Rosina’s creates gourmet dining experiences. Gather with friends to watch the game at Allan’s Fireside and share a plate of their signature Fireside Stix. For a steaming cup of java, visit Rabbit Dash or Ashanti. Select farm fresh produce at Hi-Berry Farms from spring to fall. Pick apples and navigate the corn maze at Smith’s Apples in autumn. Sit back and relax in comfort at Port Elgin’s Super 8 Motel or Colonial Motel. Both locations have restaurants on site to offer a hot breakfast before you start your next adventure! Campers and day trippers can delight in the open-year-round MacGregor Point Provincial Park in Port Elgin and seasonal Inverhuron Provincial Park in Tiverton. Both offer superb trails and beautiful beaches along Lake Huron.